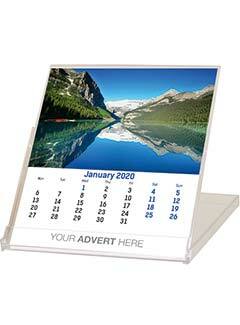 Promotional CD Calendars make a very interesting and useful promotional gift. 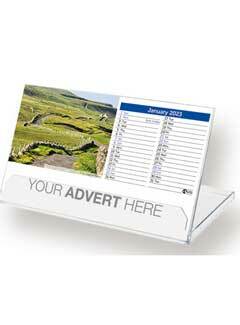 Each CD Calendar includes 12 month cards and all are delivered inserted into into individual mailing cartons. 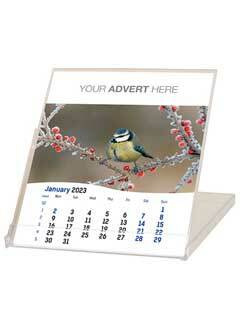 All our advertising CD calendars are printed to order, in full colour, for no extra charge. Promocalendars offer six different templated versions of our bespoke CD Calendars, and you can choose pictures from our copyright free image library or even supply your own photos! We can even highlight your own special dates. 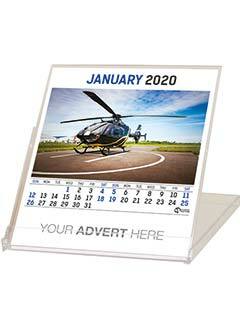 Your CD promotional calendars do not even have to start in January, we can start your calendar from any time of the year e.g. April for a financial year and September for an academic year. Please contact us if you would like to order a cd calendar brochure. 1. Select your chosen CD template from the styles shown below. 2. 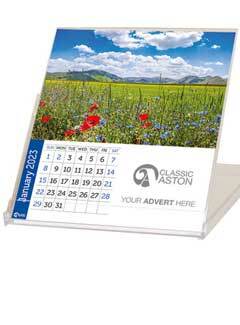 View the CD Calendars Price-List or telephone: 01539 733113 or request a quote for your immediate quotation. 3. Place your order. We will contact you for your advert details and produce a free proof for your approval before we print your promotional cd calendars. Advertising area 111 x 24mm. Your advertising is printed in full colour. Picture area 111 x 70mm. Choose from our image library or provide your own! Advertising area 52 x 46mm. Your advertising is printed in full colour. Picture area 118 x 82mm. Choose from our image library or provide your own! Advertising area 169 x 29mm. Your advertising is printed in full colour. Picture area 95 x 70mm. Choose from our image library or provide your own! Advertising area (1) 112 x 14mm. Your advertising is printed in full colour. Advertising area (2) 112 x 9mm. Your advertising is printed in full colour. Picture area 118 x 69mm. Choose from our picture library or provide your own! 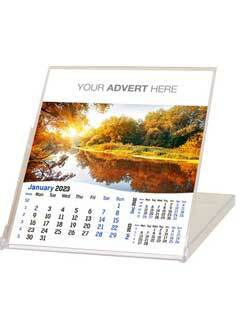 Advertising area 112 x 14mm. Your advertising is printed in full colour. Advertising area 114 x 11mm. Your advertising is printed in full colour. Picture area 118 x 79mm. Choose from our picture library or provide your own!